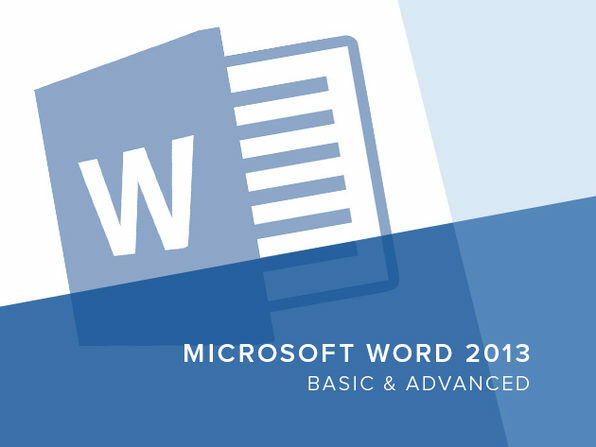 No matter your familiarity level with Microsoft Word, you’ll benefit from this comprehensive course on both basic and advanced Word techniques. Learn about an expansive array of Word functions, including crafting a simple document, saving and sharing files, and much more. Easily navigate the interface: ribbons, quick access toolbar, etc. Work w/ text: find & replace words, change fonts, etc. An initiative by IIT IIM Graduates, eduCBA is a leading global provider of skill based education addressing the needs 500,000+ members across 40+ countries. Their unique step-by-step, online learning model along with amazing 1600+ courses prepared by top notch professionals from the industry help participants achieve their goals successfully. Whether you’re building financial models on Wall Street or managing personal finances, Excel is life. From calculating simple interest rates to computing the value of complex investments, you’ll learn essential financial functions that will prove invaluable to you when it comes time to really crunch those numbers. Calculate interest: simple & compound rates, time needed to pay off a loan, etc. Take your Excel skills to a whole new level by building customized dashboards, a powerful business intelligence tool to track, view, and analyze metrics. You’ll learn to import data into a dashboard, create charts to visualize your data, and much more. It’s a powerful way for you to to identify important trends and relationships within a seemingly incomprehensible jumble of numbers. Manage large datasets w/ different functions: VLOOKUP, HLOOKUP, etc. Expansive spreadsheets giving you a headache? Tap into one of Excel’s most useful functions: data visualization using graphs and charts. You’ll understand how to create a wide array of charts ranging from pivots to maps, allowing you to tease important insights from complex datasets without spending hours hunched over a dimly lit screen. Create specialized charts: calculator, pivot, map, etc. This Excel course is as thorough as they get: a whopping 175 lectures on topics ranging from basic data entry to use of powerful features like What If Analysis. Whether you’re simply logging personal finances or building complex financial models, you’ll learn everything you need to know to blaze through any spreadsheet-heavy task like a certified pro. Study prominent features: What If Analysis, Arrays, etc. Run through the basics of using Microsoft Outlook as a desktop email client: linking your email accounts, consolidating your contacts, and customizing your inbox. Then you’ll elevate your Outlook game by mastering handy task management and scheduling techniques that will turn this handy program into a supercharged dynamo of productivity. Manage your address book: add contacts, create groups, etc. Manage your calendar: create appointments, craft invitations, etc. Build sleek decks designed to impress, whether you’re presenting to classmates, pitching to investors, or simply doing a show-and-tell with family members. From customizing slide content to jazzing up the end of your presentation with rolling credits, you’re certain to become a whiz at all things PowerPoint. Embellish your slides w/ tables, shapes, SmartArt graphics, etc. With this course, you’ll master using Microsoft Access as a powerful way to tame large amounts of data. From crafting queries to designing customized forms, you’ll learn to build effective databases that will allow you to gather, manage, and interpret data faster than you’d ever thought possible. Work w/ specialty queries: delete, union, statistical, etc. Customize forms by adding buttons, configuring input boxes, etc. Design reports w/ conditional formatting, mailing labels, etc. To become an expert at anything, including Excel, you need to understand the most basic concepts at its core. That’s why Excel newbies and pros alike will benefit immeasurably from this course, which covers beginner-level topics ranging from use of the COUNTIF and SUMIF formulas to the creation of graphs and charts to illustrate raw data. Delve into commonly used formulas: COUNTIF, SUMIF, etc. Add the almighty pivot table to your repertoire of Excel skills, and you’ll have a tool to help you drive important business decisions. Once you’ve completed this course, you’ll be able to filter, reformat, and summarize large amounts of data, allowing you to identify patterns and relationships in what may otherwise seem like a nonsensical bunch of values. Leverage Microsoft OneNote to aggregate information from different sources: handwritten or typed notes, drawings, screen clippings, and audio commentaries. You’ll up your note taking game, take advantage of multi-user collaboration features, and get more done than you’d previously thought possible. Add content: copy from PDF, screen clip, embed media files, etc. Format content: apply bullets & numbering, execute spell checks, etc. Database management becomes a piece of cake with this course on all things Microsoft Access. You’ll delve into an overview of how databases work, then get your hands dirty building one of your own. It’s an effective way to manage and assess large datasets without the agony of peering at massive Excel files for hours on end.